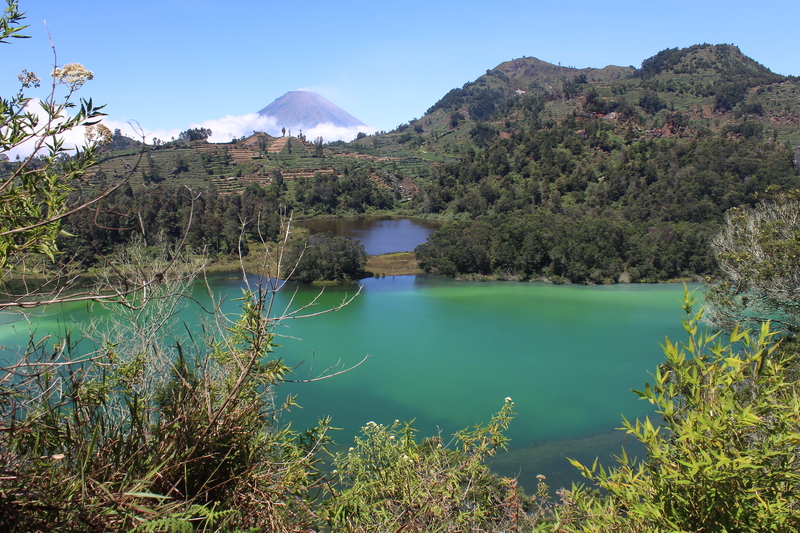 The Dieng Plateau is a fertile agrarian tract of land in Java’s northern highlands. The plateau’s flat expanse is reached by a serpentine ascent through breathtaking terraced rice fields. The climb is steep, and the tops of volcanoes penetrate the surrounding mists. At the plateau’s summit, the remains of hundreds of temples pepper the landscape. Little research has been devoted to this area, which must have been an important settlement from at least the ninth century.